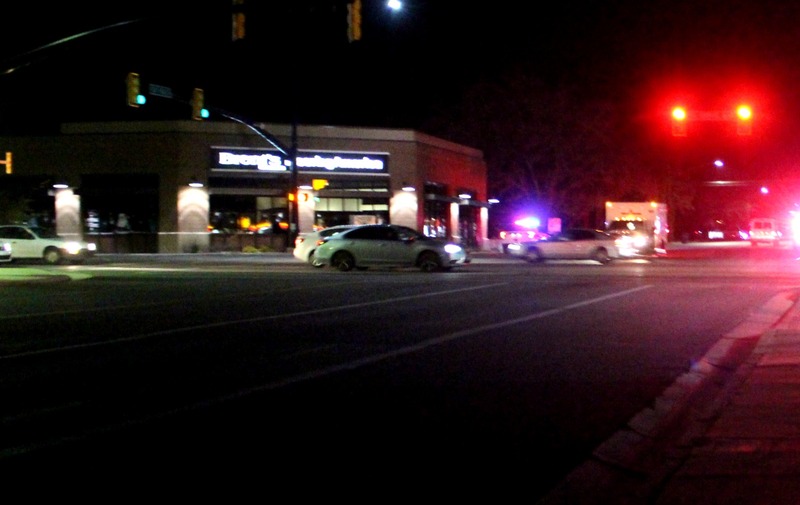 ST. GEORGE — A woman was transported to the hospital after she was hit by a car while crossing St. George Boulevard Saturday evening. The incident was reported at approximately 6 p.m. near the corner of 300 West and St. George Boulevard involving a man driving a red passenger car and a pedestrian in her late 60s. Medical personnel from St. George Fire Department and Gold Cross Ambulance responded to the scene to administer treatment to the pedestrian who appeared to suffer minor facial lacerations and scrapes, St. George Police Officer Brendan Judd said. She was transported to Dixie Regional Medical Center for further evaluation. At the time of the incident, the woman was crossing St. George Boulevard as she headed south on 300 West. Seconds later, the driver of the passenger car heading south on the same street made a right-hand turn to go west on St. George Boulevard. During the turn, the vehicle “made contact with the pedestrian who went falling down in the roadway,” Judd said. As officers were tending to the scene, a secondary crash occurred when two vehicles heading north on 300 West collided just north of the auto-pedestrian incident. The first vehicle slowed as it passed the scene and was hit by a small passenger car following directly behind, causing minor damage to both cars.